With your Hot Spring or Caldera Spa, you're already gaining numerous benefits in life: relaxation, wellness, stress relief, healthier relationships, and massage therapy. But there's another less-talked-about benefit that we often take for granted, especially during long, dark winter months. Take advantage of MOOD lighting with your hot tub, often thought of as chromatherapy. The soothing qualities of color from LED hot tub lighting allow our bodies and mind to drift and relax in the warm hot tub. The psychology of color is a powerful thing, especially at night when the sun sets. Natural colors, green and blue, offer a calming effect. Green is refreshing and soothing while blue reminds us of peace, clarity, creativity and productivity! Red stimulates. What do you think of when you see red? Activity...romance...vitality. Orange brings on cheerfulness and happiness...the ultimate antidepressant! Yellow signals cheerfulness and optimism. Overstimulating, yellow enhances our concentration and decision-making. Purple reminds us to transform our negative emotions and regain balance while using your imagination. 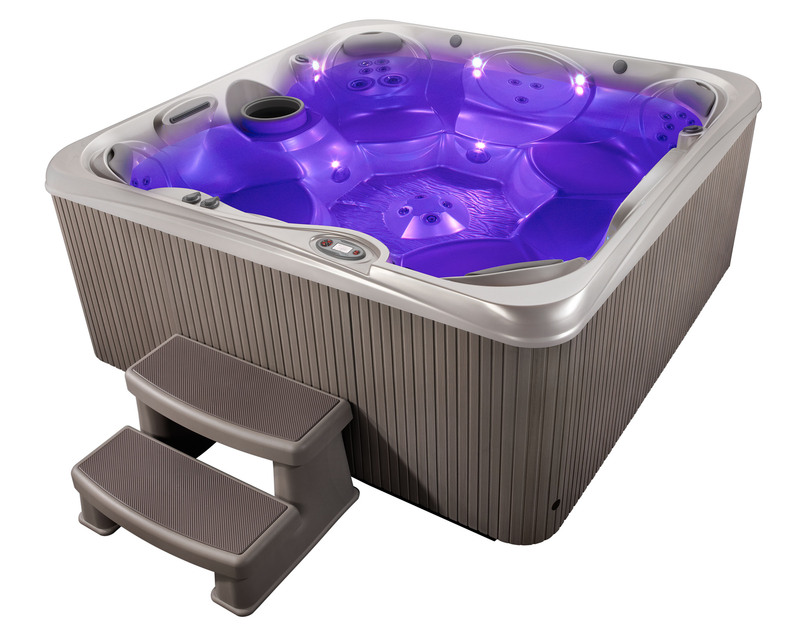 Try an IHT hot tub today and discover your favorite mood lighting color.